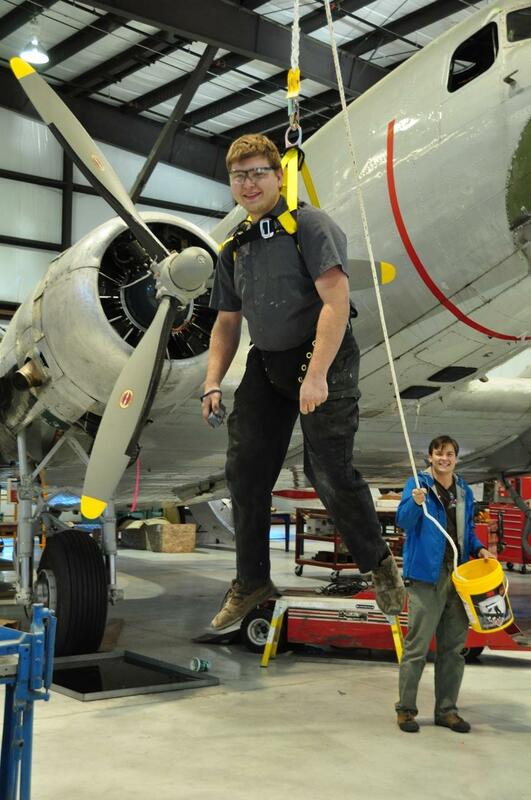 Tyson received the mandatory training on how to fall off the wing of the DC3. The next step in the training is how to do circuits. The Canada Labor Code states: 12.10(1) Subject to subsection (1.1), every employer shall provide a fall-protection system ...to any person who works at a height of more than 2.4 m above the nearest permanent safe level...., but the Labor code doesn't give any clear guidelines on how to set up a fall-protection system for the guys who are crawling around the top of a floatplane at the dock. Or the amphib Beavers out on the apron. Any ideas?